THIS working with four items of motive power proved a spectacular sight during the Great Central (Nottingham) Railway’s July 1-2 diesel gala. 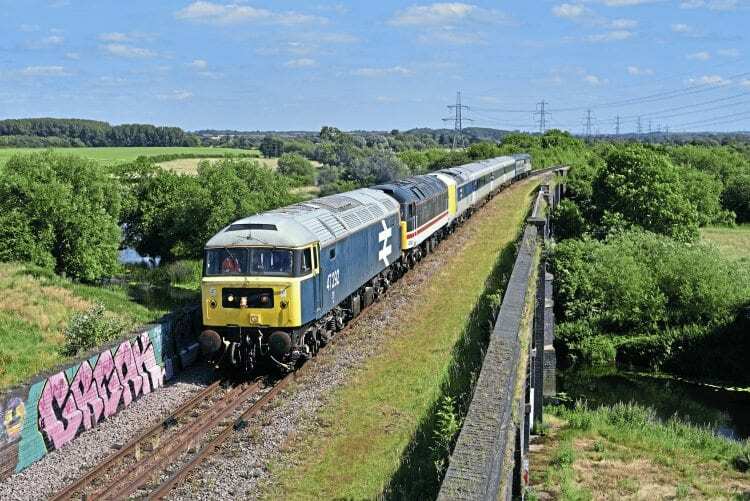 The 16.06 Loughborough High Level-Ruddington (1D16) – the return working of 1A13, the 15.15 departure from Ruddington – was captured crossing Stanford-on-Soar Viaduct on Sunday afternoon. Class 56 No. 56097 on the rear.